The CDL Fund aims to support the activities of local community or voluntary groups and, projects that contribute positively to the quality of life, wellbeing and improved health of people and communities primarily in the borough of Stockport. Awards of up to £1,000 are available. Cheshire Datasystems Limited (CDL) is a leading insurance software house based in Stockport. 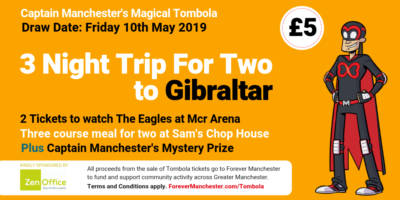 As part of their commitment to corporate social responsibility they work with Forever Manchester to deliver support to grassroots community groups in the Stockport area. Funding is primarily awarded to groups based in Stockport although applications from adjoining neighbourhoods in Denton and Hyde in Tameside and Wythenshawe, Didsbury, Withington and Fallowfield in Manchester will also be considered. The CDL Fund’s current priority is to encourage and support grass-root community activity. This means small, community-based and locally controlled groups that manage themselves, encourage active participation from volunteers and have minimal cash reserves and limited access to funding support. The fund is currently supporting applications from all community and voluntary groups who have a turnover of up to a limit of £150,000. Please note that due to administrative processes that we must undertake, once submitted it may take up to three months to hear an outcome for your application. As such, please make sure the project is due to start no earlier than three months after the time of applying’. 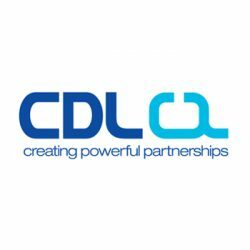 Stockport based CDL has established its position as a market leader in the highly competitive retail insurance sector by consistently creating powerful software solutions that deliver competitive and innovative advantage to our customers. As a software house, their business is based on innovation and the creativity and teamwork involved in creating cutting-edge technology solutions for big brands. Sustainability. Partnership. Integrity. Professional excellence. These values lie at the heart of how CDL does business. We embed these principles in all our relationships, working in partnership with our clients, suppliers, people and communities to promote long-term sustainable business. Our goal is to make a positive impact on the communities in which we live, work and do business. We actively seek out opportunities to achieve this, working closely with local organisations to strengthen our environmental and community investment policies. We have an active community investment programme, and run the CDL Fund through our partnership with Forever Manchester. The CDL Fund awards grants to a range of Stockport-based community projects, in particular addressing the concerns of digital inclusion, education, employability, arts and culture and disadvantaged groups in society.